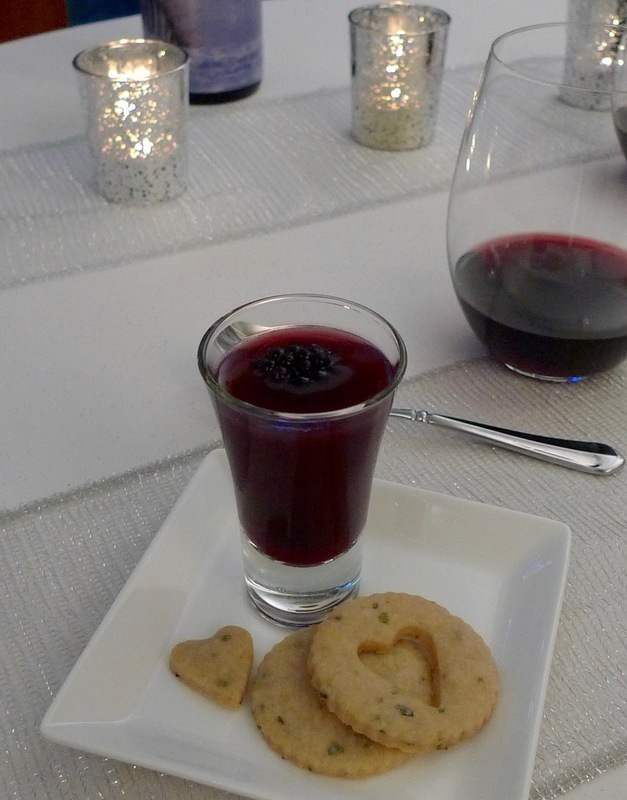 I have enjoyed making several gelatin desserts this summer, and I thought this blackberry and cabernet gelée was an elegant way to close the season. I also loved that they could be made a day in advance, so I wasn’t in the kitchen all day on our anniversary. Set aside pretty serving glasses. Add several blackberries to each glass. In a medium bowl, add the apple juice and water. Sprinkle the gelatin over the top of the liquids. Let stand about 5 minutes, or until the gelatin has bloomed. In a medium saucepan, add the wine and the sugar. Bring to a boil and let the sugar dissolve. Once the sugar has dissolved, pour the wine mixture into the apple juice mixture. Whisk to combine. Transfer the mixture to a vessel with a spout. Fill the serving glasses. Refrigerate until the gelatin has set. I let mine chill overnight.